This page shows available functions in the FastTrack language. Refer to the Getting Started Guide for more information. Returns the name of the computer's primary group. If the computer does not have one, a blank string is returned. If no computername is specified, executing computer is assumed. Domain is by default the domain of the logged on user, to specify another domain, use <Domain>\<ComputerName>. Returns a custom property from the Active Directory of a computer or an empty string if it is not set. Property name must be an LDAP property name like 'description'; see the "Attribute Editor" property tab of the computer for a list of attribute and values. If no computername is specified, executing computer is assumed. Domain is by default the domain of the logged on user, to specify another domain, use <Domain>\<ComputerName>. Returns the "Description" property from the Active Directory of a computer or an empty string if it is not set. Use the LocalComputerDescription function to get the description from the local computer. If no computername is specified, executing computer is assumed. Domain is by default the domain of the logged on user, to specify another domain, use <Domain>\<ComputerName>. Returns the distinguished name of the computer from the Active Directory. If no computername is specified, executing computer is assumed. Domain is by default the domain of the logged on user, to specify another domain, use <Domain>\<ComputerName>. Returns the date and time of the computer's last registered logon date in the Active Directory of a computer. If the computer has never logged on, a blank string is returned. If no computername is specified, executing computer is assumed. Domain is by default the domain of the logged on user, to specify another domain, use <Domain>\<ComputerName>. Returns the local description of the executing computer. Use the ComputerDescription function to get the description of the computer from Active Directory. Returns the name of the domain admins group. Returns the name of the domain users group. Returns a custom property from the Active Directory of a group or an empty string if it is not set. Property name must be an LDAP property name like 'managedBy'; see the "Attribute Editor" property tab of the group for a list of attribute and values. Domain is by default the domain of the logged on user, to specify another domain, use <Domain>\<GroupName>. Returns the distinguished name of the group. Returns the top-most OU name in the OU tree, of which the computer is a member of in the Active Directory. If no computername is specified, executing computer is assumed. Returns the bottom-most OU name in the OU tree, of which the computer is a member of in the Active Directory. If no computername is specified, executing computer is assumed. Returns the top-most OU name in the OU tree, of which the group is a member of in the Active Directory. Returns the bottom-most OU name in the OU tree, of which the group is a member of in the Active Directory. Returns the top-most OU name in the OU tree, of which the currently logged on user is a member of in the Active Directory. If no username is specified, current user is assumed. Returns the bottom-most OU name in the OU tree, of which the currently logged on user is a member of in the Active Directory. Returns a custom property from the Active Directory of an organizational unit or an empty string if it is not set. Property name must be an LDAP property name like 'managedBy'; see the "Attribute Editor" property tab of the organizational unit for a list of attribute and values. The domain is, by default, the domain of the logged-on user. To specify another domain, use: <Domain>\<OUName>. An OU can be located by either its name (if unique), distinguished name or a special FastTrack slash notation. If the name of an OU is unique, simply use the name and it will automatically be found. If the name might be ambiguous, a slash notation from the root can be used instead of full distinguished name. For example an OU "Sales" under a root OU "America" would have a distinguished name of for example OU=Sales,OU=America,DC=ACME,DC=COM. Simply use America/Sales for simpler syntax instead. If the OU actually contains a slash, use double slash to escape. Returns the distinguished name of the Organizational Unit. The domain is, by default, the domain of the logged-on user. To specify another domain, use: <Domain>\<OUName>. An OU can be located by either its name (if unique), distinguished name or a special FastTrack slash notation. If the name of an OU is unique, simply use the name and it will automatically be found. If the name might be ambiguous, a slash notation from the root can be used instead of full distinguished name. For example an OU "Sales" under a root OU "America" would have a distinguished name of for example OU=Sales,OU=America,DC=ACME,DC=COM. Simply use America/Sales for simpler syntax instead. If the OU actually contains a slash, use double slash to escape. Returns the top-most OU name in the OU tree, of where the Organizational Unit is located in the Active Directory.The domain is, by default, the domain of the logged-on user. To specify another domain, use: <Domain>\<OUName>. An OU can be located by either its name (if unique), distinguished name or a special FastTrack slash notation. If the name of an OU is unique, simply use the name and it will automatically be found. If the name might be ambiguous, a slash notation from the root can be used instead of full distinguished name. For example an OU "Sales" under a root OU "America" would have a distinguished name of for example OU=Sales,OU=America,DC=ACME,DC=COM. Simply use America/Sales for simpler syntax instead. If the OU actually contains a slash, use double slash to escape. Returns the parent OU name in the OU tree, of where the Organizational Unit is located in the Active Directory. The domain is, by default, the domain of the logged-on user. To specify another domain, use: <Domain>\<OUName>. An OU can be located by either its name (if unique), distinguished name or a special FastTrack slash notation. If the name of an OU is unique, simply use the name and it will automatically be found. If the name might be ambiguous, a slash notation from the root can be used instead of full distinguished name. For example an OU "Sales" under a root OU "America" would have a distinguished name of for example OU=Sales,OU=America,DC=ACME,DC=COM. Simply use America/Sales for simpler syntax instead. If the OU actually contains a slash, use double slash to escape. Returns the name of the user's primary group. If the user does not have one, a blank string is returned. Optional username is the name of a user in the Active Directory. If no username is specified, current user is assumed. Domain is by default the domain of the logged on user, to specify another domain, use <Domain>\<UserName>. Returns the expiry date of the user's password. If the user does not have password expiration, a blank string is returned. Optional username is the name of a user in the Active Directory. If no username is specified, current user is assumed. Domain is by default the domain of the logged on user, to specify another domain, use <Domain>\<UserName>. Returns the expiry date and time of the user's password. If the user does not have password expiration, a blank string is returned. Optional username is the name of a user in the Active Directory. If no username is specified, current user is assumed. Domain is by default the domain of the logged on user, to specify another domain, use <Domain>\<UserName>. Returns the date of the user's last password change. If the user has never changed the password, a blank string is returned. Optional username is the name of a user in the Active Directory. If no username is specified, current user is assumed. Domain is by default the domain of the logged on user, to specify another domain, use <Domain>\<UserName>. Returns the assistant's telephone number from the Active Directory of a user or an empty string if it is not set. Optional username is the name of a user in the Active Directory. If no username is specified, current user is assumed. Domain is by default the domain of the logged on user, to specify another domain, use <Domain>\<UserName>. Returns the "City" property from the Active Directory of a user or an empty string if it is not set. Optional username is the name of a user in the Active Directory. If no username is specified, current user is assumed. Domain is by default the domain of the logged on user, to specify another domain, use <Domain>\<UserName>. Returns the common name of a user ("cn" property in the Active Directory). If no username is specified, current user is assumed. Domain is by default the domain of the logged on user, to specify another domain, use <Domain>\<UserName>. Returns the "Company" property from the Active Directory of a user or an empty string if it is not set. Optional username is the name of a user in the Active Directory. If no username is specified, current user is assumed. Domain is by default the domain of the logged on user, to specify another domain, use <Domain>\<UserName>. Returns the "Country" property from the Active Directory of a user or an empty string if it is not set. Optional username is the name of a user in the Active Directory. If no username is specified, current user is assumed. Domain is by default the domain of the logged on user, to specify another domain, use <Domain>\<UserName>. Returns a custom property from the Active Directory of a user or an empty string if it is not set, for example from schema extensions. Property name must be an LDAP property name like 'streetAddress'; see the "Attribute Editor" property tab of the user for a list of attribute and values. If no username is specified, current user is assumed. Domain is by default the domain of the logged on user, to specify another domain, use <Domain>\<UserName>. Returns the "Department" property from the Active Directory of a user or an empty string if it is not set. Optional username is the name of a user in the Active Directory. If no username is specified, current user is assumed. Domain is by default the domain of the logged on user, to specify another domain, use <Domain>\<UserName>. Returns the "Description" property from the Active Directory of a user or an empty string if it is not set. If no username is specified, current user is assumed. Domain is by default the domain of the logged on user, to specify another domain, use <Domain>\<UserName>. Returns the distinguished name of the currently logged on user from Active Directory. If no username is specified, current user is assumed. Domain is by default the domain of the logged on user, to specify another domain, use <Domain>\<UserName>. Returns the "EMail" property from the Active Directory of a user or an empty string if it is not set. Optional username is the name of a user in the Active Directory. If no username is specified, current user is assumed. Domain is by default the domain of the logged on user, to specify another domain, use <Domain>\<UserName>. Returns the value of an Exchange Custom Attribute (also known as Extension Attributes) from the Active Directory of a user or an empty string if it is not set. Number must be between 1 and 15. If no username is specified, current user is assumed. Domain is by default the domain of the logged on user, to specify another domain, use <Domain>\<UserName>. Returns the "Fax" property of the phone number tab from the Active Directory of a user or an empty string if it is not set. Optional username is the name of a user in the Active Directory. If no username is specified, current user is assumed. Domain is by default the domain of the logged on user, to specify another domain, use <Domain>\<UserName>. Returns the "First Name" property from the Active Directory of a user or an empty string if it is not set. If no username is specified, current user is assumed. Domain is by default the domain of the logged on user, to specify another domain, use <Domain>\<UserName>. Returns the user's home directory. If no username is specified, current user is assumed. Domain is by default the domain of the logged on user, to specify another domain, use <Domain>\<UserName>. Returns the user's home drive. If no username is specified, current user is assumed. Domain is by default the domain of the logged on user, to specify another domain, use <Domain>\<UserName>. Returns the "Home" property of the phone number tab from the Active Directory of a user or an empty string if it is not set. Optional username is the name of a user in the Active Directory. If no username is specified, current user is assumed. Domain is by default the domain of the logged on user, to specify another domain, use <Domain>\<UserName>. Returns the "Initials" property from the Active Directory of a user or an empty string if it is not set. If no username is specified, current user is assumed. Domain is by default the domain of the logged on user, to specify another domain, use <Domain>\<UserName>. Returns the "IP phone" property of the phone number tab from the Active Directory of a user or an empty string if it is not set. Optional username is the name of a user in the Active Directory. If no username is specified, current user is assumed. Domain is by default the domain of the logged on user, to specify another domain, use <Domain>\<UserName>. The ISO 639-2 language code of the regional settings of the currently logged on user (e.g. ENG for English). Returns the date and time of the user's last logon date. If the user has never logged on, a blank string is returned. Optional username is the name of a user in the Active Directory. If no username is specified, current user is assumed. Domain is by default the domain of the logged on user, to specify another domain, use <Domain>\<UserName>. Returns the "Last Name" property from the Active Directory of a user or an empty string if it is not set. If no username is specified, current user is assumed. Domain is by default the domain of the logged on user, to specify another domain, use <Domain>\<UserName>. Returns the "Name" property from the Active Directory of a user or an empty string if it is not set. The difference between the UserName and UserListedName functions is that the UserName function returns the logon account name that is used as the key for scripting, whereas the UserListedName returns the display name in the Active Directory. These have the same values by default, but can be set to different values. If no username is specified, current user is assumed. Domain is by default the domain of the logged on user, to specify another domain, use <Domain>\<UserName>. Returns the user's logon script. If no username is specified, current user is assumed. Domain is by default the domain of the logged on user, to specify another domain, use <Domain>\<UserName>. Returns the account name of the "Manager" property from the Active Directory of a user or an empty string if it is not set. Optional username is the name of a user in the Active Directory. If no username is specified, current user is assumed. Domain is by default the domain of the logged on user, to specify another domain, use <Domain>\<UserName>. Returns the "Mobile" property of the phone number tab from the Active Directory of a user or an empty string if it is not set. Optional username is the name of a user in the Active Directory. If no username is specified, current user is assumed. Domain is by default the domain of the logged on user, to specify another domain, use <Domain>\<UserName>. Returns the "Notes" property from the Active Directory of a user or an empty string if it is not set. Optional username is the name of a user in the Active Directory. If no username is specified, current user is assumed. Domain is by default the domain of the logged on user, to specify another domain, use <Domain>\<UserName>. Returns the "Office" property from the Active Directory of a user or an empty string if it is not set. If no username is specified, current user is assumed. Domain is by default the domain of the logged on user, to specify another domain, use <Domain>\<UserName>. Returns the "Pager" property of the phone number tab from the Active Directory of a user or an empty string if it is not set. Optional username is the name of a user in the Active Directory. If no username is specified, current user is assumed. Domain is by default the domain of the logged on user, to specify another domain, use <Domain>\<UserName>. Returns the "Telephone number" property from the Active Directory of a user or an empty string if it is not set. Optional username is the name of a user in the Active Directory. If no username is specified, current user is assumed. Domain is by default the domain of the logged on user, to specify another domain, use <Domain>\<UserName>. Returns the "P.O. Box" property from the Active Directory of a user or an empty string if it is not set. Optional username is the name of a user in the Active Directory. If no username is specified, current user is assumed. Domain is by default the domain of the logged on user, to specify another domain, use <Domain>\<UserName>. Returns the principal name of the currently logged on user from Active Directory. If no username is specified, current user is assumed. Domain is by default the domain of the logged on user, to specify another domain, use <Domain>\<UserName>. Returns the user's roaming profile path, if any. If no username is specified, current user is assumed. Domain is by default the domain of the logged on user, to specify another domain, use <Domain>\<UserName>. Returns the "State" property from the Active Directory of a user or an empty string if it is not set. Optional username is the name of a user in the Active Directory. If no username is specified, current user is assumed. Domain is by default the domain of the logged on user, to specify another domain, use <Domain>\<UserName>. Returns the "Street" property from the Active Directory of a user or an empty string if it is not set. Optional username is the name of a user in the Active Directory. If no username is specified, current user is assumed. Domain is by default the domain of the logged on user, to specify another domain, use <Domain>\<UserName>. Returns the "Job Title" property from the Active Directory of a user or an empty string if it is not set. Optional username is the name of a user in the Active Directory. If no username is specified, current user is assumed. Domain is by default the domain of the logged on user, to specify another domain, use <Domain>\<UserName>. Returns the "Web page" property from the Active Directory of a user or an empty string if it is not set. Optional username is the name of a user in the Active Directory. If no username is specified, current user is assumed. Domain is by default the domain of the logged on user, to specify another domain, use <Domain>\<UserName>. Returns the "Zip" property from the Active Directory of a user or an empty string if it is not set. Optional username is the name of a user in the Active Directory. If no username is specified, current user is assumed. Domain is by default the domain of the logged on user, to specify another domain, use <Domain>\<UserName>. Returns the dns domain name of the currently logged on user. Returns the domain of the currently logged on user. Returns the expiry date of the user. If the user does not have account expiration, a blank string is returned. Optional username is the name of a user in the Active Directory. If no username is specified, current user is assumed. Domain is by default the domain of the logged on user, to specify another domain, use <Domain>\<UserName>. Returns the user's full name ("Display Name" property in the Active Directory). If no username is specified, current user is assumed. Domain is by default the domain of the logged on user, to specify another domain, use <Domain>\<UserName>. Returns the name of the currently logged on user. If full name is specified, the username is matched from the Active Directory display name. An error will occur, if no users match the given full name or multiple users match. Returns the SID of the currently logged on user. Note that this function does not support ChangeUserName. The functions always returns the SID of the logged on user. Returns the object id property from the Azure Active Directory of a group or an empty string if it is not set. Returns the city property from the Azure Active Directory of a user or an empty string if it is not set. If no username is specified, current user is assumed. Returns the company the Azure Active Directory of a user or an empty string if it is not set. If no username is specified, current user is assumed. Returns the country property from the Azure Active Directory of a user or an empty string if it is not set. If no username is specified, current user is assumed. Returns a custom property from a Azure Active Directory schema extension of a user or an empty string if it is not set. If no username is specified, current user is assumed. Returns the department property from the Azure Active Directory of a user or an empty string if it is not set. If no username is specified, current user is assumed. Returns the email address property from the Azure Active Directory of a user or an empty string if it is not set. If no username is specified, current user is assumed. Returns the first name property from the Azure Active Directory of a user or an empty string if it is not set. If no username is specified, current user is assumed. Returns the full name property from the Azure Active Directory of a user or an empty string if it is not set. If no username is specified, current user is assumed. Returns the object id property from the Azure Active Directory of a user or an empty string if it is not set. If no username is specified, current user is assumed. Returns the language property from the Azure Active Directory of a user or an empty string if it is not set. If no username is specified, current user is assumed. Returns the last name property from the Azure Active Directory of a user or an empty string if it is not set. If no username is specified, current user is assumed. Returns the mobile number property from the Azure Active Directory of a user or an empty string if it is not set. If no username is specified, current user is assumed. Returns the user name of the current user logged on to Azure Active Directory. Returns the office property from the Azure Active Directory of a user or an empty string if it is not set. If no username is specified, current user is assumed. Returns the phone number property from the Azure Active Directory of a user or an empty string if it is not set. If no username is specified, current user is assumed. Returns the state property from the Azure Active Directory of a user or an empty string if it is not set. If no username is specified, current user is assumed. Returns the street property from the Azure Active Directory of a user or an empty string if it is not set. If no username is specified, current user is assumed. Returns the title property from the Azure Active Directory of a user or an empty string if it is not set. If no username is specified, current user is assumed. Returns the zip code property from the Azure Active Directory of a user or an empty string if it is not set. If no username is specified, current user is assumed. Returns the number of new or changed files from the last SyncDir, SyncDirHidden, CopyDir or CopyDirHidden operation. If the operation was cancelled, the function returns 0. Use the LastSyncWasCancelled condition to detect cancellation. The cancel button can be removed using the DisableSyncCancel command. Returns the total size in bytes of changed or new files from the last SyncDir, SyncDirHidden, CopyDir or CopyDirHidden operation. If the operation was cancelled, the function returns 0. Use the LastSyncWasCancelled condition to detect cancellation. The cancel button can be removed using the DisableSyncCancel command. Returns the total size in gigabytes of changed or new files from the last SyncDir, SyncDirHidden, CopyDir or CopyDirHidden operation. If the operation was cancelled, the function returns 0. Use the LastSyncWasCancelled condition to detect cancellation. The cancel button can be removed using the DisableSyncCancel command. Returns the total size in kilo bytes of changed or new files from the last SyncDir, SyncDirHidden, CopyDir or CopyDirHidden operation. If the operation was cancelled, the function returns 0. Use the LastSyncWasCancelled condition to detect cancellation. The cancel button can be removed using the DisableSyncCancel command. Returns the total size in megabytes of changed or new files from the last SyncDir, SyncDirHidden, CopyDir or CopyDirHidden operation. If the operation was cancelled, the function returns 0. Use the LastSyncWasCancelled condition to detect cancellation. The cancel button can be removed using the DisableSyncCancel command. Returns the number of directories from the last SyncDir, SyncDirHidden, CopyDir or CopyDirHidden operation. If the operation was cancelled, the function returns 0. Use the LastSyncWasCancelled condition to detect cancellation. The cancel button can be removed using the DisableSyncCancel command. Returns the total time consumed from the last SyncDir, SyncDirHidden, CopyDir or CopyDirHidden operation in format HH:MM:SS. If the operation was cancelled, the function returns 00:00:00. Use the LastSyncWasCancelled condition to detect cancellation. The cancel button can be removed using the DisableSyncCancel command. Returns the number of files from the last SyncDir, SyncDirHidden, CopyDir or CopyDirHidden operation. If the operation was cancelled, the function returns 0. Use the LastSyncWasCancelled condition to detect cancellation. The cancel button can be removed using the DisableSyncCancel command. Returns the number of new directories from the last SyncDir, SyncDirHidden, CopyDir or CopyDirHidden operation. If the operation was cancelled, the function returns 0. Use the LastSyncWasCancelled condition to detect cancellation. The cancel button can be removed using the DisableSyncCancel command. Returns the number of new files from the last SyncDir, SyncDirHidden, CopyDir or CopyDirHidden operation. Changed files are not included, use LastSyncChangedFiles for this information. If the operation was cancelled, the function returns 0. Use the LastSyncWasCancelled condition to detect cancellation. The cancel button can be removed using the DisableSyncCancel command. Returns the total size in bytes of all files from the last SyncDir, SyncDirHidden, CopyDir or CopyDirHidden operation. If the operation was cancelled, the function returns 0. Use the LastSyncWasCancelled condition to detect cancellation. The cancel button can be removed using the DisableSyncCancel command. Returns the total size in gigabytes of all files from the last SyncDir, SyncDirHidden, CopyDir or CopyDirHidden operation. If the operation was cancelled, the function returns 0. Use the LastSyncWasCancelled condition to detect cancellation. The cancel button can be removed using the DisableSyncCancel command. Returns the total size in kilo bytes of all files from the last SyncDir, SyncDirHidden, CopyDir or CopyDirHidden operation. If the operation was cancelled, the function returns 0. Use the LastSyncWasCancelled condition to detect cancellation. The cancel button can be removed using the DisableSyncCancel command. Returns the total size in megabytes of all files from the last SyncDir, SyncDirHidden, CopyDir or CopyDirHidden operation. If the operation was cancelled, the function returns 0. Use the LastSyncWasCancelled condition to detect cancellation. The cancel button can be removed using the DisableSyncCancel command. Returns the used url for a virtual browser installed using the InstallVirtualBrowser or InstallVirtualUserBrowser commands. Refer to http://www.fasttrackscript.com/browsercontrol for more information. The version of the installed Citrix Receiver (formerly ICA Client). If Citrix Receiver is not installed, a blank string will be returned, unless a default version is specified. You can compare the function by using a simple condition - for example "If [IcaClientVersion 1.0]<9.5 Then", where 1.0 is returned, if no client is installed. Returns the major part (first digit) of the version of the installed Citrix Receiver (formerly ICA Client). If Citrix Receiver is not installed, 0 will be returned to allow less than (<) comparisons without checking installation status. Returns the minor part (second digit) of the installed Citrix Receiver (formerly ICA Client). If Citrix Receiver is not installed, 0 will be returned to allow less than (<) comparisons without checking installation status. Returns the error from the last Citrix Receiver session. Use the LastIcaSessionFailed condition to determine success from last session. The name of the XenApp application (blank if not available). The ip address of the client running the Citrix ICA session, which can be used to detect the client's location. If the IP is not available, a blank string will be returned. The difference between IcaClientIP and ClientIP is that ClientIP will also get the IP address through a Remote Desktop Services session and will ultimately return the local computer's IP address, if the session is not virtual. Returns the specified first number of digits in the ip address of the client running the Citrix ICA session. If the IP is not available, a blank string will be returned. The difference between IcaClientIPPart and ClientIPPart is that ClientIPPart will also get the IP address through a Remote Desktop Services session and will ultimately return the local computer's IP address, if the session is not virtual. The name of the client running the Citrix ICA session. If the name is not available, a blank string will be returned. The difference between IcaClientName and ClientName is that ClientName will also get the name through a Remote Desktop Services session and will ultimately return the local computer name, if the session is not virtual. Returns the text on the clipboard. Returns an inventory xml file of the most important hardware inventory information. The output can be used to perform simple inventory logging from clients. The xml output can be processed with for instance Excel and the format is subject to future changes. Any parameters are added as custom data. ListOfCustomValues simply means a dynamic number of parameters/values; there can be any number of parameters from none to an infinite number of parameters. Returns an inventory xml file of the most important software and hardware inventory information. The output can be used to perform simple inventory logging from clients. The xml output can be processed with for instance Excel and the format is subject to future changes. Any parameters are added as custom data. ListOfCustomValues simply means a dynamic number of parameters/values; there can be any number of parameters from none to an infinite number of parameters. Returns an inventory xml file of installed software. The output can be used to perform simple inventory logging from clients. The xml output can be processed with for instance Excel and the format is subject to future changes. ListOfCustomValues simply means a dynamic number of parameters/values; there can be any number of parameters from none to an infinite number of parameters. Gets the value of a property or the result of a method on the source object. The value must be a of a primitive type (e.g. string or integer). The source object can be an object created with the CreateObject function (entering for instance CreateObject(Scripting.FileSystemObject) as SourceObject) or an object set with SetObject. Indefinite object nesting is supported to compact scripts, for example getting a third level object: <SourceObject>.<Method>(<Parameters>).<Property>. ListOfParameters simply means a dynamic number of parameters; there can be any number of parameters from none to an infinite number of parameters. Methods or properties that have dots in the name must be quoted. Refer to http://www.fasttrackscript.com/COM for more details on using COM with FastTrack Scripting Host. Returns the full dns name of the computer. Returns the name of the executing computer. Returns the SID of the executing computer. Adds the number of days to the date and time. If date and time is not specified, current date and time is assumed. DateTime parameter can be date and time or just date or just time (assuming current date). Adds the number of hours to the date and time. If date and time is not specified, current date and time is assumed. DateTime parameter can be date and time or just date or just time (assuming current date). Adds the number of minutes to the date and time. If date and time is not specified, current date and time is assumed. DateTime parameter can be date and time or just date or just time (assuming current date). Adds the number of months to the date and time. If date and time is not specified, current date and time is assumed. DateTime parameter can be date and time or just date or just time (assuming current date). Adds the number of seconds to the date and time. If date and time is not specified, current date and time is assumed. DateTime parameter can be date and time or just date or just time (assuming current date). Adds the number of years to the date and time. If date and time is not specified, current date and time is assumed. DateTime parameter can be date and time or just date or just time (assuming current date). Returns the date portion of the date and time. DateTime parameter can be date and time or just date or just time (assuming current date). Returns the date as the serialized date. If no date is specified, current date and time is assumed. DateTime parameter can be date and time or just date or just time (assuming current date). Returns current date and time. Returns current day of the month. If no date is specified, today is assumed. If no DateTime is specified, today is assumed. DateTime parameter can be date and time or just date or just time (assuming current date). Returns the amount of days between the two dates. Returns current hour in two digits. If no DateTime is specified, now is assumed. DateTime parameter can be date and time or just time (assuming current date). Returns the amount of hours between the two dates and/or time. DateTime parameters can be date and time or just date or just time (assuming current date). Returns current minute in two digits. If no DateTime is specified, now is assumed. DateTime parameter can be date and time or just time (assuming current date). Returns the amount of minutes between the two dates and/or time. DateTime parameters can be date and time or just date or just time (assuming current date). Returns current month number. If no DateTime is specified, today is assumed. DateTime parameter can be date and time or just date or just time (assuming current date). Returns the name of the current month in the regional format. If no DateTime is specified, today is assumed. DateTime parameter can be date and time or just date or just time (assuming current date). Returns current second in two digits. If no DateTime is specified, now is assumed. DateTime parameter can be date and time or just time (assuming current date). Returns the amount of seconds between the two dates and/or time. DateTime parameters can be date and time or just date or just time (assuming current date). Returns the time from a server (or remote computer). If no server is specified, the logon server time is returned. Subtracts the number of days to the date and time. If date and time is not specified, current date and time is assumed. DateTime parameter can be date and time or just date or just time (assuming current date). Subtracts the number of hours to the date and time. If date and time is not specified, current date and time is assumed. DateTime parameter can be date and time or just date or just time (assuming current date). Subtracts the number of minutes to the date and time. If date and time is not specified, current date and time is assumed. DateTime parameter can be date and time or just date or just time (assuming current date). Subtracts the number of months to the date and time. If date and time is not specified, current date and time is assumed. DateTime parameter can be date and time or just date or just time (assuming current date). Subtracts the number of seconds to the date and time. If date and time is not specified, current date and time is assumed. DateTime parameter can be date and time or just date or just time (assuming current date). Subtracts the number of years to the date and time. If date and time is not specified, current date and time is assumed. DateTime parameter can be date and time or just date or just time (assuming current date). Returns the time portion of the date and time. DateTime parameter can be date and time or just date. Returns current week day's name. Returns current year. If no DateTime is specified, today is assumed. DateTime parameter can be date and time or just date or just time (assuming current date). Returns the creation date of a directory. Returns the creation date and time of a directory. Returns the serialized creation date and time of a directory for comparison. Returns the last access date of a directory. Returns the last access date and time of a directory. Returns the serialized last access date and time of a directory for comparison. Returns the last write date of a directory. Returns the last write date and time of a directory. Returns the serialized last write date and time of a directory for comparison. Returns the common files directory. Returns the common files directory for x86 (32-bit) applications on 64-bit operating systems. On a 32-bit operating system, the regular common files directory is returned. Returns the common desktop folder for all users. Returns the common documents folder for all users. Returns the common favorites folder for all users. Returns the common music folder for all users. Returns the common pictures folder for all users. Returns the root folder of all profiles. Returns the program Files directory. On a 64-bit machine, the 64-bit program files directory is returned. Returns the program Files directory for x86 (32-bit) applications on 64-bit operating systems. On a 32-bit operating system, the regular program files directory is returned. Returns the common program icons folder for all users. Returns the common Start Menu folder for all users. Returns the common StartUp folder for all users. Returns the system directory for x86 (32-bit) applications on 64-bit operating systems. On a 32-bit operating system, the regular system directory is returned. Gets a unique temporary filename. Returns the common template folder for all users. Returns the application data folder for current user. Returns the cookies folder for the current user. Returns the desktop folder for the current user. Returns the documents folder for current user. Returns the favorites folder for the current user. Returns the history folder for the current user. Returns the internet cache folder for the current user. Returns the music folder for the current user. Returns the personal folder for the current user. Returns the pictures folder for the current user. Returns the root of current user's profile. Returns the program icons folder for the current user. Returns the recent files folder for the current user. Returns the application data folder when user is roaming. Returns a blank string for non-roaming users. Returns the SendTo folder for the current user. Returns the Outlook signature directory for the current user. If outlook is not installed, an empty string is returned. Returns the start Menu folder for the current user. Returns the startUp folder for the current user. Returns the template folder for the current user. Returns the videos folder for the current user. Returns the common videos folder for all users. Returns the complete size of all files in the directory and subdirectories in bytes. Returns the complete size of all files in the directory and subdirectories in gigabytes, rounded to nearest gigabyte. Returns the complete size of all files in the directory and subdirectories in kilo bytes, rounded to nearest kilo byte. Returns the complete size of all files in the directory and subdirectories in megabytes, rounded to nearest megabyte. Asks the user to select a directory. A blank string is return, if user cancels. Returns the number of files in the directory and subdirectories. Gets the directory part of a full file path. Returns the number of total sub directories under the directory. Gets the parent directory of a directory. Gets the path of the local inf file of a driver in the Windows driver store, even if the hardware is not currently present. If your environment is mixed between 32 and 64 bit and the drivers are different, use the last parameter to point to 32-bit driver to be used for 32-bit machines only. Returns a decrypted string decrypted usign the private key string. En encrypt a string, use the Encrypt function with the same private key. Returns an encrypted string encrypted usign the private key string. To get decrypt a string, use the Decrypt function with the same private key. Returns the password in encrypted form, which is the same as encrypting a password in the editor. Useful when asking the user for a password that must be used in encrypted format as input to another command. Returns a hashed string based on the input string. The returned hashed string cannot be reverse engineered and is useful for storing local information like passwords. The password can then be verified later by hashing the password again and comparing the outputs. By default SHA1 is used for hashing. Algorithm can be MD5 (128 bit), SHA1 (160 bit), RIPEMD160 (160 bit), SHA256 (256 bit), SHA384 (384 bit) or SHA512 (512 bit). The output hash string is the hex representation of the returned bits. Returns the value of an environment variable, or an empty string, if it does not exist. Replaces all environment variables in a string, such as %userprofile%. Returns the complete content currently displayed in the console. Returns the output from last console execution command. Returns the exit code from the run command. Returns the error message mapping to the Win32 exit code from the run command. Returns the full path of the currently executing FastTrack script including filename. If other scripts are included, the root script is still used. Use CurrentScriptFile to get the included script (if any). Returns the name without path of the currently executing FastTrack script. If other scripts are included, the root script is still used. Use CurrentScriptName to get the included script (if any). Returns the full path of the currently executing FastTrack script without the filename. If other scripts are included, the root script is still used. Use CurrentScriptPath to get the included script (if any). Returns the full path of the currently executing FastTrack script including filename. If other scripts are included, this script is used. Use CurrentRootScriptFile to get the entry script. Returns the name without path of the currently executing FastTrack script. If other scripts are included, this script is used. Use CurrentRootScriptName to get the entry script. Returns the full path of the currently executing FastTrack script without the filename. If other scripts are included, this script is used. Use CurrentRootScriptPath to get the entry script. Returns the full path including the executable name of the executing FastTrack engine. Returns the path to the executing FastTrack engine. Returns the current FastTrack engine version. You can compare the function by using a simple condition - for example "If [FastTrackVersion]<8.5 Then". Returns the major version (first digit) of the current FastTrack engine. Returns the minor version (second digit) of the current FastTrack engine. Returns the creation date of a file. Returns the creation date and time of a file. Returns the serialized creation date and time of a file for comparison. Returns the last access date of a file. Returns the last access date and time of a file. Returns the serialized last access date and time of a file for comparison. Returns the last write date of a file. Returns the last write date and time of a file. Returns the serialized last write date and time of a file for comparison. Gets the comment property of a file. Gets the company name property of a file. Gets the file description of a file. Gets the language property of a file. Gets the product name property of the file. Gets the product version of a filename. The file and product versions are usually the same, but do not have to be. Normally the file version is considered the correct version to use. Product version is usually listed as "Product Version" on file properties. Build and revision numbers can be extracted by using the 'Digit' function. You can compare the function by using a simple condition - for example "If [FileProductVersion App.Exe]<5.5 Then". Gets the major part of the file product version of a file (first digit of four in the version). Gets the minor part of the file product version of a file (second digit of four in the version). Gets the full 4 digit version of a filename. You can compare the function by using a simple condition - for example "If [FileVersion App.Exe]<5.5 Then". Gets the major part of the file version of a file (first digit of four in the version). Gets the minor part of the file version of a file (second digit of four in the version). Returns the size of the file in bytes. Returns the size of the file in gigabytes, rounded to nearest gigabyte. Returns the size of the file in kilo bytes, rounded to nearest kilo byte. Returns the size of the file in megabytes, rounded to nearest megabyte. Asks the user to browse for a file. A blank string is return, if user cancels. Asks the user to select a file name for a new file. An existing file can also be selected. You can check for existing file by using the FileExists condition on the returned string. A blank string is return, if user cancels. Gets the content of a file. Useful for long messages with ShowMessage. The file content gets parsed for functions, so you can use a file as a template message with [FullUserName] and other functions. Gets the extension of a file. Gets the filename part of a full file path. Combines a path and a filename to the full path. Gets the full file name from a 8.3 file name. Gets the 8.3 version of the file name. Gets the filename without extension. Finds the file in the directory structure and returns the full path. The file name must be without path and can also be a file pattern. If multiple files exists, the first file found is returned. If no files are found, an empty string is returned. Gets the full path from a relative path or filename. Gets the content of an FTP file on an FTP server. Password must be encrypted in the editor using Tools->Encrypt Password or by using the EncryptPassword function. Gets the date of an FTP file on an FTP server. Password must be encrypted in the editor using Tools->Encrypt Password or by using the EncryptPassword function. Gets the size in bytes of an FTP file on an FTP server. Password must be encrypted in the editor using Tools->Encrypt Password or by using the EncryptPassword function. Gets the size in gigabytes of an FTP file on an FTP server. Password must be encrypted in the editor using Tools->Encrypt Password or by using the EncryptPassword function. Gets the size in kilobytes of an FTP file on an FTP server. Password must be encrypted in the editor using Tools->Encrypt Password or by using the EncryptPassword function. Gets the size in megabytes of an FTP file on an FTP server. Password must be encrypted in the editor using Tools->Encrypt Password or by using the EncryptPassword function. Gets the date and time of an FTP file on an FTP server. Password must be encrypted in the editor using Tools->Encrypt Password or by using the EncryptPassword function. Returns the number of new or changed files from the last SyncFTPDir or CopyFTPDir operation. If the operation was cancelled, the function returns 0. Use the LastFTPWasCancelled condition to detect cancellation. The cancel button can be removed using the DisableFTPCancel command. Returns the total size in bytes of changed or new files from the last SyncFTPDir or CopyFTPDir operation. If the operation was cancelled, the function returns 0. Use the LastFTPWasCancelled condition to detect cancellation. The cancel button can be removed using the DisableFTPCancel command. Returns the total size in gigabytes of changed or new files from the last SyncFTPDir or CopyFTPDir operation. If the operation was cancelled, the function returns 0. Use the LastFTPWasCancelled condition to detect cancellation. The cancel button can be removed using the DisableFTPCancel command. Returns the total size in kilo bytes of changed or new files from the last SyncFTPDir or CopyFTPDir operation. If the operation was cancelled, the function returns 0. Use the LastFTPWasCancelled condition to detect cancellation. The cancel button can be removed using the DisableFTPCancel command. Returns the total size in megabytes of changed or new files from the last SyncFTPDir or CopyFTPDir operation. If the operation was cancelled, the function returns 0. Use the LastFTPWasCancelled condition to detect cancellation. The cancel button can be removed using the DisableFTPCancel command. Returns the number of directories from the last SyncFTPDir or CopyFTPDir operation. If the operation was cancelled, the function returns 0. Use the LastFTPWasCancelled condition to detect cancellation. The cancel button can be removed using the DisableFTPCancel command. Returns the total time consumed from the last SyncFTPDir or CopyFTPDir operation in format HH:MM:SS. If the operation was cancelled, the function returns 00:00:00. Use the LastFTPWasCancelled condition to detect cancellation. The cancel button can be removed using the DisableFTPCancel command. Returns the number of files from the last SyncFTPDir or CopyFTPDir. If the operation was cancelled, the function returns 0. Use the LastFTPWasCancelled condition to detect cancellation. The cancel button can be removed using the DisableFTPCancel command. Returns the number of new directories from the last SyncFTPDir or CopyFTPDir operation. If the operation was cancelled, the function returns 0. Use the LastFTPWasCancelled condition to detect cancellation. The cancel button can be removed using the DisableFTPCancel command. Returns the number of new files from the last SyncFTPDir or CopyFTPDir operation. Changed files are not included, use LastFTPSyncChangedFiles for this information. If the operation was cancelled, the function returns 0. Use the LastFTPWasCancelled condition to detect cancellation. The cancel button can be removed using the DisableFTPCancel command. Returns the total size in bytes of all files from the last SyncFTPDir or CopyFTPDir operation. If the operation was cancelled, the function returns 0. Use the LastFTPWasCancelled condition to detect cancellation. The cancel button can be removed using the DisableFTPCancel command. Returns the total size in gigabytes of all files from the last SyncFTPDir or CopyFTPDir operation. If the operation was cancelled, the function returns 0. Use the LastFTPWasCancelled condition to detect cancellation. The cancel button can be removed using the DisableFTPCancel command. Returns the total size in kilo bytes of all files from the last SyncFTPDir or CopyFTPDir operation. If the operation was cancelled, the function returns 0. Use the LastFTPWasCancelled condition to detect cancellation. The cancel button can be removed using the DisableFTPCancel command. Returns the total size in megabytes of all files from the last SyncFTPDir or CopyFTPDir operation. If the operation was cancelled, the function returns 0. Use the LastFTPWasCancelled condition to detect cancellation. The cancel button can be removed using the DisableFTPCancel command. Returns the city of the geographical location of the executing computer. Note that the computer makes a small web request to determine the location. The location is a proximity location based on the public IP address at a city level. If the location cannot be determined, a blank string is returned. Returns the country of the geographical location of the executing computer. Note that the computer makes a small web request to determine the location. The location is a proximity location based on the public IP address at a city level. If the location cannot be determined, a blank string is returned. Returns the latitude of the geographical location of the executing computer. Note that the computer makes a small web request to determine the location. The location is a proximity location based on the public IP address at a city level. If the location cannot be determined, a blank string is returned. Returns the longitude of the geographical location of the executing computer. Note that the computer makes a small web request to determine the location. The location is a proximity location based on the public IP address at a city level. If the location cannot be determined, a blank string is returned. Returns an url to display the the current geographical location on a map. Note that the computer makes a small web request to determine the location. The location is a proximity location based on the public IP address at a city level. If the location cannot be determined, a blank string is returned. Returns the region of the geographical location of the executing computer. Note that the computer makes a small web request to determine the location. The location is a proximity location based on the public IP address at a city level. If the location cannot be determined, a blank string is returned. Returns the right value of the last selection using the DoubleListMenu function. Shows a menu of choices in a list with two columns and returns the selection. The following settings commands have effect on the window: SetScreenPos, SetBodyFont, SetBodyColor, SetHeaderFont, SetHeaderColor, SetBackgroundImage, ResetBackgroundImage, SetWindowSize, SetWindowScale, SetNextWindowSize, SetNextWindowScale, SetScaling, EnableTopMost/DisableTopMost and the visual effects commands. For every two items in the list of values, the first value is the left side and the second is the right side. The left side is returned as the selected choice. If the selected choice must be different than the displayed text, split the value with |, where the variable name is before the split and the display text after the split. If cancelled, blank is returned. The window icon can be changed using the SetMenuHeaderIcon command. ListOfValues simply means a dynamic number of parameters/values; there can be any number of parameters from none to an infinite number of parameters. Shows a menu of choices in a list with two columns and returns the selection without offering an option to cancel. The following settings commands have effect on the window: SetScreenPos, SetBodyFont, SetBodyColor, SetHeaderFont, SetHeaderColor, SetBackgroundImage, ResetBackgroundImage, SetWindowSize, SetWindowScale, SetNextWindowSize, SetNextWindowScale, SetScaling, EnableTopMost/DisableTopMost and the visual effects commands. For every two items in the list of values, the first value is the left side and the second is the right side. The left side is returned as the selected choice. If the selected choice must be different than the displayed text, split the value with |, where the variable name is before the split and the display text after the split. The window icon can be changed using the SetMenuHeaderIcon command. ListOfValues simply means a dynamic number of parameters/values; there can be any number of parameters from none to an infinite number of parameters. Shows a list menu of choices and returns the selected value. The following settings commands have effect on the window: SetScreenPos, SetBodyFont, SetBodyColor, SetHeaderFont, SetHeaderColor, SetBackgroundImage, ResetBackgroundImage, SetWindowSize, SetWindowScale, SetNextWindowSize, SetNextWindowScale, SetScaling, EnableTopMost/DisableTopMost and the visual effects commands. If the returned value must be different than the displayed text, split the value with |, where the variable name is before the split and the display text after the split. If cancelled, blank is returned. The window icon can be changed using the SetMenuHeaderIcon command. ListOfValues simply means a dynamic number of parameters/values; there can be any number of parameters from none to an infinite number of parameters. Shows a list menu of choices and returns the selected value without offering an option to cancel. The following settings commands have effect on the window: SetScreenPos, SetBodyFont, SetBodyColor, SetHeaderFont, SetHeaderColor, SetBackgroundImage, ResetBackgroundImage, SetWindowSize, SetWindowScale, SetNextWindowSize, SetNextWindowScale, SetScaling, EnableTopMost/DisableTopMost and the visual effects commands. If the returned value must be different than the displayed text, split the value with |, where the variable name is before the split and the display text after the split. The window icon can be changed using the SetMenuHeaderIcon command. ListOfValues simply means a dynamic number of parameters/values; there can be any number of parameters from none to an infinite number of parameters. Shows a menu with choices and returns the selected item. If cancelled, blank is returned. Values can start with "<IconName>|" for another icon than the default, see the icon explorer in the editor for names. Custom icons can added with the AddCustomIcon command. ListOfValues simply means a dynamic number of parameters/values; there can be any number of parameters from none to an infinite number of parameters. Shows a menu with choices and returns the selected item. User is forced to select an item and cannot cancel. Values can start with "<IconName>|" for another icon than the default, see the icon explorer in the editor for names. Custom icons can added with the AddCustomIcon command. ListOfValues simply means a dynamic number of parameters/values; there can be any number of parameters from none to an infinite number of parameters. Asks the user to enter a string. The question must be quoted, if there is a comma. The following settings commands have effect on the window: SetScreenPos, SetBodyFont, SetBodyColor, SetHeaderFont, SetHeaderColor, SetBackgroundImage, ResetBackgroundImage, SetScaling, EnableTopMost/DisableTopMost and the visual effects commands. IconName refers to an internal icon name of icons listed in the "Icon Explorer" in the script editor. Further icons can added with the AddCustomIcon command. You also point directly to an image file preferably by in png format. Asks the user to enter a password. The question must be quoted, if there is a comma. The following settings commands have effect on the window: SetScreenPos, SetBodyFont, SetBodyColor, SetHeaderFont, SetHeaderColor, SetBackgroundImage, ResetBackgroundImage, SetScaling, EnableTopMost/DisableTopMost and the visual effects commands. IconName refers to an internal icon name of icons listed in the "Icon Explorer" in the script editor. Further icons can added with the AddCustomIcon command. You also point directly to an image file preferably by in png format. Asks the user to enter a text in a text field. The text can be multi-line. The question must be quoted, if there is a comma. The following settings commands have effect on the window: SetScreenPos, SetBodyFont, SetBodyColor, SetHeaderFont, SetHeaderColor, SetBackgroundImage, ResetBackgroundImage, SetScaling, EnableTopMost/DisableTopMost and the visual effects commands. IconName refers to an internal icon name of icons listed in the "Icon Explorer" in the script editor. Further icons can added with the AddCustomIcon command. You also point directly to an image file preferably by in png format. Returns number of minutes of battery life remaining. Returns 1000 minutes for desktops or if laptop is charging. Returns percentage of battery life remaining. Returns 100 percent for desktops or if laptop is charging. 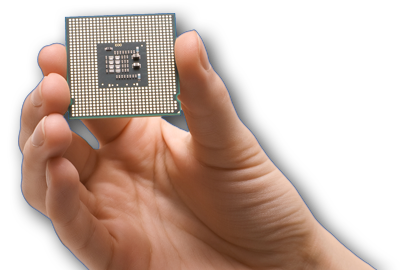 Vendor's description of the CPU. Remote computer queries require you to open the firewall rule "WMI" on the remote computer. Use <Domain>\<UserName> to specify domain for the remote connection user. Password must be encrypted in the editor using Tools->Encrypt Password or by using the EncryptPassword function. CPU speed in MHz. Remote computer queries require you to open the firewall rule "WMI" on the remote computer. Use <Domain>\<UserName> to specify domain for the remote connection user. Password must be encrypted in the editor using Tools->Encrypt Password or by using the EncryptPassword function. Gets the size in GB of the primary harddisk. Gets S.M.A.R.T. status of the primary harddisk. Possible values are "OK", "Error", "Degraded", "Unknown", "Pred Fail", "Starting", "Stopping", "Service", "Stressed", "NonRecover", "No Contact" or "Lost Comm". Remote computer queries require you to open the firewall rule "WMI" on the remote computer. Use <Domain>\<UserName> to specify domain for the remote connection user. Password must be encrypted in the editor using Tools->Encrypt Password or by using the EncryptPassword function. Gets free diskspace in GB of the primary harddisk. You can use this in login scripts to display a warning when below a certain threshold. Defaults to the root of the drive that Windows resides on, if no drive is specified. Example: If [FreeDiskSpace]<5 Then ShowMessage "Please contact HelpDesk, you are running out of disk space"
System manufacturer, e.g. 'HP', 'Lenovo' or 'Dell Inc'. The manufacturer of a machine can also be found be typing "wmic computersystem get manufacturer" in a command prompt. Remote computer queries require you to open the firewall rule "WMI" on the remote computer. Use <Domain>\<UserName> to specify domain for the remote connection user. Password must be encrypted in the editor using Tools->Encrypt Password or by using the EncryptPassword function. System model. Useful for detecting virtual machines. The model of a machine can also be found be typing "wmic computersystem get model" in a command prompt. Remote computer queries require you to open the firewall rule "WMI" on the remote computer. Use <Domain>\<UserName> to specify domain for the remote connection user. Password must be encrypted in the editor using Tools->Encrypt Password or by using the EncryptPassword function. Number of physical hard drives. Remote computer queries require you to open the firewall rule "WMI" on the remote computer. Use <Domain>\<UserName> to specify domain for the remote connection user. Password must be encrypted in the editor using Tools->Encrypt Password or by using the EncryptPassword function. Returns the serial number allocated by the hardware manufacturer to identify the hardware. On Dell computers, this is referred to as the service tag. Remote computer queries require you to open the firewall rule "WMI" on the remote computer. Use <Domain>\<UserName> to specify domain for the remote connection user. Password must be encrypted in the editor using Tools->Encrypt Password or by using the EncryptPassword function. Total memory in megabytes. Remote computer queries require you to open the firewall rule "WMI" on the remote computer. Use <Domain>\<UserName> to specify domain for the remote connection user. Password must be encrypted in the editor using Tools->Encrypt Password or by using the EncryptPassword function. Gets the setting in an ini file. Returns a blank string if value or file is not found. Returns the application name in the current script context from RegisterInstallation or UnregisterInstallation, useful for PostInstall.fsh and PostUninstall.fsh. Returns the application name version in the current script context from RegisterInstallation, useful for PostInstall.fsh. Returns the build number of an installed application (registered with RegisterInstallation). If it is not installed, an empty string is returned. Returns the install date in the local machine date format of an installed application (registered with RegisterInstallation with version 6.5 or later). If it is not installed, an empty string is returned. Returns the version of an installed application (registered with RegisterInstallation). If it is not installed, an empty string is returned, unless a default version is specified. You can compare the function by using a simple condition - for example "If [InstallationVersion TeamViewer,1.0]<10.2 Then", where 1.0 is returned, if TeamViewer is not installed. Returns the major part (first digit) of the version of an installed application (registered with RegisterInstallation). If it is not installed, 0 will be returned to allow less than (<) comparisons without checking installation status. Returns the minor part (second digit) of the version of an installed application (registered with RegisterInstallation). If it is not installed or the minor part is missing, 0 will be returned to allow less than (<) comparisons without checking installation status. Shows a menu of items added using the AddOnDemandItem command and sets the application to install using the InstallMSIOnDemand, InstallProgramOnDemand and InstallProgramScriptOnDemand commands, if the user does not click cancel. Returns the installation date of a program listed in Windows installed programs list. In many cases this information is missing. In case it is missing or the program is not installed, an empty string is returned. Program names can be found in the installed programs list in the control panel or on your inventory website, if you use inventory. You can specify the left-most part, but the full name must be preferred. Some programs like Adobe Reader postfixes the version number in the application name, in which case, this can easily be factored in by using "Adobe Reader" as program name. However using for example "Microsoft Office" instead of the full program name to detect an office installation is not a good idea, because you can get a positive unintentional hit on "Microsoft Office Outlook Connector" for example. As a general rule of thumb, use the longest possible left-most part. Returns the installation folder of a program listed in Windows installed programs list. In many cases this information is missing. In case it is missing or the program is not installed, an empty string is returned. Program names can be found in the installed programs list in the control panel or on your inventory website, if you use inventory. You can specify the left-most part, but the full name must be preferred. Some programs like Adobe Reader postfixes the version number in the application name, in which case, this can easily be factored in by using "Adobe Reader" as program name. However using for example "Microsoft Office" instead of the full program name to detect an office installation is not a good idea, because you can get a positive unintentional hit on "Microsoft Office Outlook Connector" for example. As a general rule of thumb, use the longest possible left-most part. Returns the publisher of a program listed in Windows installed programs list. In many cases this information is missing. In case it is missing or the program is not installed, an empty string is returned. Program names can be found in the installed programs list in the control panel or on your inventory website, if you use inventory. You can specify the left-most part, but the full name must be preferred. Some programs like Adobe Reader postfixes the version number in the application name, in which case, this can easily be factored in by using "Adobe Reader" as program name. However using for example "Microsoft Office" instead of the full program name to detect an office installation is not a good idea, because you can get a positive unintentional hit on "Microsoft Office Outlook Connector" for example. As a general rule of thumb, use the longest possible left-most part. Returns the size of a program listed in Windows installed programs list in megabytes. In many cases this information is missing. In case it is missing or the program is not installed, an empty string is returned. Program names can be found in the installed programs list in the control panel or on your inventory website, if you use inventory. You can specify the left-most part, but the full name must be preferred. Some programs like Adobe Reader postfixes the version number in the application name, in which case, this can easily be factored in by using "Adobe Reader" as program name. However using for example "Microsoft Office" instead of the full program name to detect an office installation is not a good idea, because you can get a positive unintentional hit on "Microsoft Office Outlook Connector" for example. As a general rule of thumb, use the longest possible left-most part. Returns the uninstallation string of a program listed in Windows installed programs list, which is used to uninstall an application. In case the program is not installed, an empty string is returned. Program names can be found in the installed programs list in the control panel or on your inventory website, if you use inventory. You can specify the left-most part, but the full name must be preferred. Some programs like Adobe Reader postfixes the version number in the application name, in which case, this can easily be factored in by using "Adobe Reader" as program name. However using for example "Microsoft Office" instead of the full program name to detect an office installation is not a good idea, because you can get a positive unintentional hit on "Microsoft Office Outlook Connector" for example. As a general rule of thumb, use the longest possible left-most part. Returns the version of a program listed in Windows installed programs list. In some cases the version is missing. If the program is not installed or the version is missing, a blank string is returned, unless a default version is specified. You can compare the function by using a simple condition - for example "If [ProgramVersion TeamViewer,1.0]<10.2 Then", where 1.0 is returned, if TeamViewer is not installed. Program names can be found in the installed programs list in the control panel or on your inventory website, if you use inventory. You can specify the left-most part, but the full name must be preferred. Some programs like Adobe Reader postfixes the version number in the application name, in which case, this can easily be factored in by using "Adobe Reader" as program name. However using for example "Microsoft Office" instead of the full program name to detect an office installation is not a good idea, because you can get a positive unintentional hit on "Microsoft Office Outlook Connector" for example. As a general rule of thumb, use the longest possible left-most part. Build and revision numbers can be extracted by using the 'Digit' function. Returns the major part (first digit) of the version of a program listed in Windows installed programs list. In case it is missing or the program is not installed, 0 will be returned to allow less than (<) comparisons without checking installation status. Program names can be found in the installed programs list in the control panel or on your inventory website, if you use inventory. You can specify the left-most part, but the full name must be preferred. Some programs like Adobe Reader postfixes the version number in the application name, in which case, this can easily be factored in by using "Adobe Reader" as program name. However using for example "Microsoft Office" instead of the full program name to detect an office installation is not a good idea, because you can get a positive unintentional hit on "Microsoft Office Outlook Connector" for example. As a general rule of thumb, use the longest possible left-most part. Returns the minor part (second digit) of the version of a program listed in Windows installed programs list. In case it is missing or the program is not installed, 0 will be returned to allow less than (<) comparisons without checking installation status. Program names can be found in the installed programs list in the control panel or on your inventory website, if you use inventory. You can specify the left-most part, but the full name must be preferred. Some programs like Adobe Reader postfixes the version number in the application name, in which case, this can easily be factored in by using "Adobe Reader" as program name. However using for example "Microsoft Office" instead of the full program name to detect an office installation is not a good idea, because you can get a positive unintentional hit on "Microsoft Office Outlook Connector" for example. As a general rule of thumb, use the longest possible left-most part. Returns the name of the local administrators group. Returns the description of a local group. Returns the name of the local power users group. Returns the name of the local users group. Returns the name of the local everyone account. Returns the name of the local network service account. Returns the name of the local service account. Returns the name of the local system account. Returns the description of a local user. If no user is specified, locally logged on user is assumed. Returns the full name of a local user. If no user is specified, locally logged on user is assumed. Returns the home path of a local user. If no user is specified, locally logged on user is assumed. Returns the home drive of a local user. If no user is specified, locally logged on user is assumed. Returns the logon script path of a local user. If no user is specified, locally logged on user is assumed. Returns the name of the currently logged on user. Will return the same result as the function UserName. Returns the profile path of a local user. If no user is specified, locally logged on user is assumed. Calculates the result of a mathematical expression, returning the result with decimals. Expression can contain parenthesis, common operators (+ - / * ^), arithmetic operators (% (Mod) || (Or) && (And) ! (Not)) and comparison operators (< > == != <= =>). Calculates the result of a mathematical expression, returning a result rounded to nearest number without digits. Expression can contain parenthesis, common operators (+ - / * ^), arithmetic operators (% (Mod) || (Or) && (And) ! (Not)) and comparison operators (< > == != <= =>). Rounds the number to the defined number of digits. The full path to the Microsoft Excel exe file. If it is not installed, a blank string is returned. The installed version of Microsoft Excel. If it is not installed, a blank string is returned, unless a default version is specified. You can compare the function by using a simple condition - for example "If [ExcelVersion 1.0]<10.5 Then" where 1.0 is returned, if Excel is not installed. Gets the major part of the installed version of Microsoft Excel (first digit). If it is not installed, 0 will be returned to allow less than (<) comparisons without checking installation status. The full path to the Microsoft Outlook exe file. If it is not installed, a blank string is returned. Note that the function returns blank also, if Outlook is installed, but no accounts are set up. This is because Outlook is not functional in this case. The installed version of Microsoft Outlook. If it is not installed, a blank string is returned, unless a default version is specified. You can compare the function by using a simple condition - for example "If [OutlookVersion 1.0]<10.5 Then" where 1.0 is returned, if Outlook is not installed. Note that the function returns blank also, if Outlook is installed, but no accounts are set up. This is because Outlook is not functional in this case. Gets the major part of the installed version of Microsoft Outlook (first digit). If it is not installed, 0 will be returned to allow less than (<) comparisons without checking installation status. Note that the function returns blank also, if Outlook is installed, but no accounts are set up. This is because Outlook is not functional in this case. The full path to the Microsoft Word exe file. If it is not installed, a blank string is returned. The installed version of Microsoft Word. If it is not installed, a blank string is returned, unless a default version is specified. You can compare the function by using a simple condition - for example "If [WordVersion 1.0]<10.5 Then" where 1.0 is returned, if Word is not installed. Gets the major part of the installed version of Microsoft Word (first digit). If it is not installed, 0 will be returned to allow less than (<) comparisons without checking installation status. Returns the name of the default Outlook profile, if any. Gets the number of mapped Outlook accounts for the current user. Useful for checking if the user has mapped non-authorized accounts (if the function returns a number larger than 1). Use the OutlookAccounts collection to get a list of mapped email addresses. Returns the default signature for the current user for new emails. Returns blank, if no default signature is set. Returns the default reply signature for the current user for new emails. Returns blank, if no default signature is set. Returns the number of Outlook signatures the current user has. Gets the number of ost files (Off-line Storage Table) used by the current user. Use the OSTFiles collection to get a list of OST files. Gets the number of pst files (Personal Storage Table) used by the current user. Use the PSTFiles collection to get a list of PST files. Returns the connection name of the fasteset wired network adapter. If there are no wired adapters, an empty string is returned. Returns the manufacturer of the fasteset wired network adapter. If there are no wired adapters, an empty string is returned. Returns the name of the fasteset wired network adapter. If there are no wired adapters, an empty string is returned. Get the MAC address of the fastest wired network adapter. Returns an empty string, if there is no active wired connection. Get the speed in mbit of the fastest wired network adapter. Returns 0 if there is no active wired connection. Returns the connection name of the fasteset wireless network adapter. If there are no wireless adapters, an empty string is returned. Returns the manufacturer of the fasteset wireless network adapter. If there are no wireless adapters, an empty string is returned. Returns the name of the fasteset wireless network adapter. If there are no wireless adapters, an empty string is returned. Get the MAC address of the fastest wireless network adapter. Returns an empty string, if there is no active wireless connection. Get the speed in mbit of the fastest wireless network adapter. Returns 0 if there is no active wireless connection. Returns the connection name of the fastest active network adapter. Returns the manufacturer of a network adapter. If no adapter is specified, the fastest active network adapter is used. Returns the name of a network adapter. If no adapter is specified, the fastest active network adapter is used. Returns the dns name of the computer's domain. Returns the domain of the computer. If the computer is not in a domain, a blank string is returned. Returns the host name of an IP address or blank string, if hostname cannot be resolved. The IP address of the executing computer is used, unless Host or ConnectionName is specified. Host can be a hostname or an IP address. ConnectionName is the name of a connection in the Control Panel, for example "Local Area Connection". If the host has multiple IP addresses, the first obtained IP is returned and if the host has no IP addresses, the loopback address 127.0.0.1 is returned. Returns the IP v6 address of the executing computer, unless Host or ConnectionName is specified. Host can be a hostname or an IP address. ConnectionName is the name of a connection in the Control Panel, for example "Local Area Connection". If the host has multiple IP6 addresses, the first obtained IP6 address is returned and if the host has no IP v6 addresses, the loopback address 0:0:0:0:0:0:0:1 is returned. Returns the IP v4 address of the executing computer, unless Host or ConnectionName is specified. Host can be a hostname or an IP address. ConnectionName is the name of a connection in the Control Panel, for example "Local Area Connection". If the host has multiple IP addresses, the first obtained IP is returned and if the host has no IP addresses, the loopback address 127.0.0.1 is returned. Returns the specified first number of digits in the ip v4 address, for instance the 'IPAddressPart 2' of 127.0.0.1 is 127.0. Useful for indexing xml files for a specific location. Host can be a hostname or an IP address. ConnectionName is the name of a connection in the Control Panel, for example "Local Area Connection". Returns the full path of the last executed FastTrack logon script. Returns the current logon server. Gets the MAC address of a network adapter. If no adapter is specified, the MAC address of the fastest network adapter is returned. Get the speed in mbit of the fastest network adapter. If no adapter is specified, the speed of the fastest network adapter is returned. Using connection name to identify a specific network adapter requires Vista or newer. Returns the public IP address of the executing computer. Note that the computer makes a web request to determine the public IP. If the computer has no public ip address, 127.0.0.1 is returned. Returns the date and time of the last boot. Remote computer queries require you to open the firewall rule "WMI" on the remote computer. Use <Domain>\<UserName> to specify domain for the remote connection user. Password must be encrypted in the editor using Tools->Encrypt Password or by using the EncryptPassword function. Returns the friendly name of the operating system like 'Windows 7'. Remote computer queries require you to open the firewall rule "WMI" on the remote computer. Use <Domain>\<UserName> to specify domain for the remote connection user. Password must be encrypted in the editor using Tools->Encrypt Password or by using the EncryptPassword function. Returns the number of bits like '64-bit'. Returns the build number of the Operating System version, such as 16299. Returns the Update Build Revision (UBR) of the Operating System version, such as 248. Returns full version of the Operating System. Returns the ISO 639-2 language code of the operating system (e.g. ENG for English). Returns the release number of Windows such as 1709. Returns Operating System Service Pack. Returns Operating System version. You can compare the function by using a simple condition - for example "If [OperatingSystemVersion]<6.1 Then". Returns the major part (first digit) of the Operating System version. Returns the minor part (second digit) of the Operating System version. Returns the date the operating system was installed. Useful as indication of the age of the computer. Remote computer queries require you to open the firewall rule "WMI" on the remote computer. Use <Domain>\<UserName> to specify domain for the remote connection user. Password must be encrypted in the editor using Tools->Encrypt Password or by using the EncryptPassword function. Shows a list of printer locations added by the SetPrinterLocation command and saves the choice to the registry. Use the ConnectPrinterMenuItem to connect the chosen printers. Shows an icon menu of printer locations added by the SetPrinterLocation command and saves the choice to the registry. Use the ConnectPrinterMenuItem to connect the chosen printers. Gets the name of the current default printer. Converts the UNC path of a mapped network printer to a name as listed in the control panel. Converts for example \\Server\Printer to "Printer on Server". Converts the name of a mapped network printer as listed in the control panel to the corresponding UNC path. Converts for example "Printer on Server" to \\Server\Printer. Useful for converting an entry from the NetworkPrinterNames collection into the share name for mapping. Returns a comma separated list of hex values (e.g. 6C,4A,40,23) of the given registry value (e.g. 6C,4A,40,23) or blank if it does not exist. If the value is not binary, it will be returned as a normal string. Type REG_MULTI can be read with the collection RegistryValueMultilinex86. Value is read from the redirected registry for 32-bit applications on a 64-bit operating system. Works the same as RegistryValue on a 32-bit operating system and for non-redirected keys. HKey_Local_Machine, HKey_Current_User and HKey_Classes_Root can be abbreviated to HKLM, HKCU and HKCR. Binary values will be return as hex values - use RegistryValuex86 to read the value converted to text. Returns the value of the given registry value or blank if it does not exist. Type REG_MULTI can be read with the collection RegistryValueMultilinex86. Value is read from the redirected registry for 32-bit applications on a 64-bit operating system. Works the same as RegistryValue on a 32-bit operating system and for non-redirected keys. HKey_Local_Machine, HKey_Current_User and HKey_Classes_Root can be abbreviated to HKLM, HKCU and HKCR. Binary values will be converted to text - use RegistryValueBinaryx86 to read as a list of hex values. Returns the value of the given registry value or blank if it does not exist. REG_MULTI can be read with the collection RegistryValueMultiline. HKey_Local_Machine, HKey_Current_User and HKey_Classes_Root can be abbreviated to HKLM, HKCU and HKCR. Binary values will be converted to text - use RegistryValueBinary to read as a list of hex values. Example: If Not [RegistryValue HKCU\Control Panel\Desktop\WallPaper]=[WinDir]\Acme.png Then ShowMessage You are not allowed to overrule the corporate wallpaper! Returns a comma separated list of hex values (e.g. 6C,4A,40,23) of the given registry value or blank if it does not exist. If the value is not binary, it will be returned as a normal string. REG_MULTI can be read with the collection RegistryValueMultiline. HKey_Local_Machine, HKey_Current_User and HKey_Classes_Root can be abbreviated to HKLM, HKCU and HKCR. Binary values will be return as hex values - use RegistryValue to read the value converted to text. The version of the installed Remote Desktop Services client. If no client is installed, a blank string is returned, unless a default version is specified. You can compare the function by using a simple condition - for example "If [RdpClientVersion 1.0]<6.1 Then", where 1.0 is returned, if no client is installed. Returns the major part (first digit) of the version of the installed Remote Desktop Services client. If no Remote Desktop Services client is installed, 0 will be returned to allow less than (<) comparisons without checking installation status. Returns the minor part (second digit) of the version of the installed Remote Desktop Services client. If no Remote Desktop Services client is installed, 0 will be returned to allow less than (<) comparisons without checking installation status. The ip address of the client running a Remote Desktop Services or Citrix ICA Session. If the session is not a remote session, the local IP will be returned. In scenarios without remote sessions, use the IPAddress function. Use the "RemoteSession" condition to detect a remote session. If the IP is not available, a blank string will be returned. Returns the specified first number of digits in the ip address of the client running a Remote Desktop Services or Citrix ICA Session. If the session is not a remote session, the local IP will be returned. In scenarios without remote sessions, use the IPAddressPart function. Use the "RemoteSession" condition to detect a remote session. If the IP is not available, a blank string will be returned. The name of the client running a Remote Desktop Services or Citrix ICA Session. If the session is not a remote session, the local computer name will be returned. In scenarios without remote sessions, use the ComputerName function. Use the "RemoteSession" condition to detect a remote session. Observe that session through web interfaces on Citrix XenApp might return a generated computer name. This can be disabled to get the true remote computer name; refer to http://support.citrix.com/article/CTX111851 for more information. The name of the published application (blank if not available). The ip address of the client running Remote Desktop Services, which can be used to detect the client's location. If the IP is not available, a blank string will be returned. The difference between RdpClientIP and ClientIP is that ClientIP will also get the IP address through a Citrix ICA session and will ultimately return the local computer's IP address, if the session is not virtual. Returns the specified first number of digits in the ip address of the client running Remote Desktop Services. If the IP is not available, a blank string will be returned. The difference between RdpClientIPPart and ClientIPPart is that ClientIPPart will also get the IP address through a Citrix ICA session and will ultimately return the local computer's IP address, if the session is not virtual. The name of the client running Remote Desktop Services. If the name is not available, a blank string will be returned. The difference between RdpClientName and ClientName is that ClientName will also get the name through a Citrix ICA session and will ultimately return the local computer name, if the session is not virtual. Gets the session ID of the first process matching the user name. If the user has no processes, blank is returned. The ip address of the client running Remote Desktop Services, which can be used to detect the client's location. If the IP is not available, a blank string will be returned. The difference between TSClientIP and ClientIP is that ClientIP will also get the IP address through a Citrix ICA session and will ultimately return the local computer's IP address, if the session is not virtual. Returns the specified first number of digits in the ip address of the client running Remote Desktop Services. If the IP is not available, a blank string will be returned. The difference between TSClientIPPart and ClientIPPart is that ClientIPPart will also get the IP address through a Citrix ICA session and will ultimately return the local computer's IP address, if the session is not virtual. The name of the client running Remote Desktop Services. If the name is not available, a blank string will be returned. The difference between TSClientName and ClientName is that ClientName will also get the name through a Citrix ICA session and will ultimately return the local computer name, if the session is not virtual. Returns the exit code of the previous action on the Task Sequence (same as reading the _SMSTSLastActionRetCode variable). Returns the version of the SCCM client. If no client is installed, a blank string is returned, unless a default version is specified. You can compare the function by using a simple condition - for example "If [SCCMClientVersion 1.0]<3.1 Then", where 1.0 is returned, if no client is installed..
Returns the major part (first digit) of the version of the installed SCCM client. If the SCCM client is not installed, 0 will be returned to allow less than (<) comparisons without checking installation status. Returns the minor part (second digit) of the installed SCCM client. If the SCCM client is not installed, 0 will be returned to allow less than (<) comparisons without checking installation status. Returns the name of the code of the currently assigned site. If no client is installed or the site code is not set, an empty string is returned. Returns the name of the current action step of the executing Task Sequence (same as reading the _SMSTSCurrentActionName variable). Returns the name of the executing Task Sequence (same as reading the _SMSTSPackageName variable). Returns the value of an SCCM Task Sequence variable. An error occurs, if the variable does not exist. Use the TSVarExists to test for existence. Returns index number of primary screen. Returns number of bits per pixel. If ScreenIndex is omitted, the primary screen will be used. Observe that your primary screen is not necessarily the first screen. You can get the screen index of the primary screen with the PrimaryScreenIndex function. To loop through all screens, use a construct like 'For ScreenIndex = 1 to [NoMonitors]'. Returns the screen device name. If ScreenIndex is omitted, the primary screen will be used. Observe that your primary screen is not necessarily the first screen. You can get the screen index of the primary screen with the PrimaryScreenIndex function. To loop through all screens, use a construct like 'For ScreenIndex = 1 to [NoMonitors]'. Returns screen height in pixels. If ScreenIndex is omitted, the primary screen will be used. Observe that your primary screen is not necessarily the first screen. You can get the screen index of the primary screen with the PrimaryScreenIndex function. To loop through all screens, use a construct like 'For ScreenIndex = 1 to [NoMonitors]'. Returns maximum number of bits per pixel. If ScreenIndex is omitted, the primary screen will be used. Observe that your primary screen is not necessarily the first screen. You can get the screen index of the primary screen with the PrimaryScreenIndex function. To loop through all screens, use a construct like 'For ScreenIndex = 1 to [NoMonitors]'. Returns maximum screen height in pixels. If ScreenIndex is omitted, the primary screen will be used. Observe that your primary screen is not necessarily the first screen. You can get the screen index of the primary screen with the PrimaryScreenIndex function. To loop through all screens, use a construct like 'For ScreenIndex = 1 to [NoMonitors]'. Returns the maximum screen refresh rate in mhz. If ScreenIndex is omitted, the primary screen will be used. Observe that your primary screen is not necessarily the first screen. You can get the screen index of the primary screen with the PrimaryScreenIndex function. To loop through all screens, use a construct like 'For ScreenIndex = 1 to [NoMonitors]'. Returns the maximum screen resolution width in pixels. If ScreenIndex is omitted, the primary screen will be used. Observe that your primary screen is not necessarily the first screen. You can get the screen index of the primary screen with the PrimaryScreenIndex function. To loop through all screens, use a construct like 'For ScreenIndex = 1 to [NoMonitors]'. Returns the screen refresh rate in mhz. If ScreenIndex is omitted, the primary screen will be used. Observe that your primary screen is not necessarily the first screen. You can get the screen index of the primary screen with the PrimaryScreenIndex function. To loop through all screens, use a construct like 'For ScreenIndex = 1 to [NoMonitors]'. Returns number screen width in pixels. If ScreenIndex is omitted, the primary screen will be used. Observe that your primary screen is not necessarily the first screen. You can get the screen index of the primary screen with the PrimaryScreenIndex function. To loop through all screens, use a construct like 'For ScreenIndex = 1 to [NoMonitors]'. Gets a command line parameter value (specified with /P "ParameterName=Value"), returns blank if it is not specified. Returns the last execution error, useful for logging in ErrorHandler.fsh. Gets a parameter value for a custom function or custom command. Returns the target path of a shortcut. Returns the working directory of a shortcut. Gets an account name from a SID. Gets the account type of a SID. Account type can be "Alias", "Computer", "Deleted account", "Domain", "Group", "Invalid", "User", "Well known group" or "Unknown". Gets a SID from an account name. Use <Domain>\<AccountName> for an account from a different domain than the current user. Gets type of a SID. Type can be "Alias", "Computer", "Deleted account", "Domain", "Group", "Invalid", "User", "Well known group" or "Unknown". Gets an SNMP value. If the port is different than 161, specify host as <host>:<port>. Community is "Public" unless specified otherwise. Returns current date in SQL Server format. If no date is specified, today is assumed. Returns current date and time in SQL Server format. If no date and time is specified, now is assumed. Executes an SQL query against a SQL Server database, returning the value of the first field. If no records are returned from the SQL Server, a blank string is return from SQLQuery. Query should explicitly return one field, otherwise the first one is used. Your SQL statement must be quoted, as it will most likely contain commas. Also remember that when you construct your SQL statements, values must be in apostrophes (') according to the T-SQL language; for example "SELECT LogonTime FROM Logons WHERE UserName='[UserName]' ORDER BY LogonTime Desc". Password must be encrypted in the editor using Tools->Encrypt Password or by using the EncryptPassword function. Returns current time in SQL Server format. If no time is specified, now is assumed. Returns the current elapsed time of the stopwatch in milliseconds. Useful for comparison. Returns the current time on the stopwatch in format HH:MM:SS. Useful for output of a time measure on operations. Returns the ascii code of a character. Returns an empty string for readability. For condition test, the Empty condition can be used. Replaced by the ] sign for marking the literal sign and not the end of a function or collection. Replaced by the [ sign for marking the literal sign and not the start of a function or collection. Returns the character of the specified value. Replaced by a carriage return. Generates a Global Unique Identifier (GUID). Cuts the string at the start of the first occurrence of the specified search string. If the string is not found, the whole string is returned. Cuts the string at the start of the last occurrence of the specified search string. If the string is not found, the whole string is returned. Returns the string from the first occurrence of the specified search string. If the string is not found, the whole string is returned. Returns the string from the last occurrence of the specified search string. If the string is not found, the whole string is returned. Formats a number into a phone number. Default is US format: ###.###.####, where # is a digit. All characters except numbers are stripped from the input string to build the returned result. # represents a digit. If there number of digits does not match, the original phone number is returned. For example 555-123-1234, 555.123.1234, 5551231234 or 555 123 1234 all result in 555.123.1234 with the default format. Gets the position of the searchstring inside the string; can be used to for instance mask ip addresses. Index is zero based, no match will result in 0. To test if the searchstring is inside the string at all, the condition Contains can be used instead of comparing to 0. Gets the last position of the searchstring inside the string; can be used to for instance mask ip addresses. Index is zero based, no match will result in 0. Returns the leftmost "Count" number of chars from the string. Returns the string in lower case. Gets a middle part of a string. Not specifying end will return the rest of the string. Trims the zeros away from strings. For example 01000 is stripped to 1000 and 1000,10 is stripped to 1000,1. Performs a left padding of the string to the length specified. If the string is shorter than Length, than it will be left padded with the specified char. Performs a right padding of the string to the length specified. If the string is shorter than Length, then it will be right padded with the specified char. Corrects case of a string and returns the result. First letter in every sentence is made upper case, everything else lower case. Corrects case of a string and returns the result. Every first letter is made upper case, everything else lower case. Returns a random number between 0 and the MaxNumber parameter. Useful in logon scripts to randomize when large installations happen to avoid network congestion. Replaces 'SearchString' with 'ReplaceString' in the given string, returning the result. Gets up to the rightmost "Count" chars of the string. Returns the 'Position' element of an array. The string is by default split with both comma and dot. If the position is larger than the number of elements, an empty string is returned. Use the 'SplitSize' function to detect the number of digits. The example returns the build number of notepad.exe. Returns the number of elements in a string. The string is by default split with both comma and dot. Trims the string of leading and trailing white spaces. Returns the string in upper case. Returns this computers TeamViewer ID. If it is not installed, a blank string is returned. The installed version of TeamViewer. If it is not installed, a blank string is returned, unless a default version is specified. You can compare the function by using a simple condition - for example "If [TeamViewerVersion 1.0]<10.2 Then", where 1.0 is returned, if TeamViewer is not installed. Gets the major version (first digit) og the installed version of TeamViewer. If it is not installed, a blank string is returned. Gets the minor version (second digit) og the installed version of TeamViewer. If it is not installed, a blank string is returned. Returns the value of the specified variable. If default value is specified, it is returned, if the variable value is empty. If the variable does not exist, an error will be thrown. Returns the string html decoded. Returns the string html encoded. Makes a http request returning the content returned from the http request. Use the command SendHttpData, if the returned data are not needed. FormData is optional POST (form) data for the request in url format like param1=value1&param2=value2. If optional password is used, it must be encrypted in the editor using Tools->Encrypt Password. Returns the last http status code (404 = not found, 500 = server error, etc) from the SendHttpData command or the HttpRequest function. Note that to the ResumeOnError command must be used to catch errors codes, as the script will otherwise fail before being able to react on the result with this function. Returns the string url decoded. Returns the string url encoded. Returns the unique MSI product code of an MSI file. Returns the product name of an MSI file. Returns the publisher of a Windows Installer MSI file. Returns the version of a Windows Installer MSI file. Returns the major part (first digit) of the version of a Windows Installer MSI File. Returns the minor part (second digit) of the version of a Windows Installer MSI file. Returns the version of Windows Installer. If Windows Installer is not installed, a blank string is returned, unless a default version is specified. You can compare the function by using a simple condition - for example "If [MSIVersion 1.0]<4.5 Then", where 1.0 is returned, if Windows Installer is not installed. Build and revision numbers can be extracted by using the 'Digit' function. Returns the major part (first digit) of the version of Windows Installer. In case it is missing or the program is not installed, 0 will be returned to allow less than (<) comparisons without checking installation status. Returns the minor part (second digit) of the version of Windows Installer. In case it is missing or the program is not installed, 0 will be returned to allow less than (<) comparisons without checking installation status. Executes a WMI query. Query must explicitly return one attribute. See documentation for COM Automation for advanced use of WMI objects. Use <Domain>\<UserName> to specify domain for the remote connection user. Password must be encrypted in the editor using Tools->Encrypt Password or by using the EncryptPassword function. Citrix receiver must be installed. Gets the attribute of the value of the first xml node that fits the path or blank if file or value does not exist. Returns the string xml decoded. Returns the string xml encoded (for instance & is replaced by &amp;). Gets the first xml node attribute that fits the path and has an attribute that fits the pairs key and value. Returns a blank string if file or attribute is not found. Gets the value of the first xml node that fits the path or blank if file or value does not exist.